Celebrating its diamond jubilee in 2010, the origin of St. Paul's BMV goes back to 1935, when a farsighted French missionary, very Rev. Father M.J. Le Goc OMI, founded St Paul's English School for the education of Catholic children in Kelaniya. Registered as a Government in School in 1960, the school was stepped as a grade 1 AB school and was named "St Paul's Balika Maha Vidyalaya" in 1966. Since then it has come a long way under the guidance of Apostolic Carmel Sisters and is now a leading National School in the country producing generations of accomplished ladies who render invaluable services to the development of both our country and families. 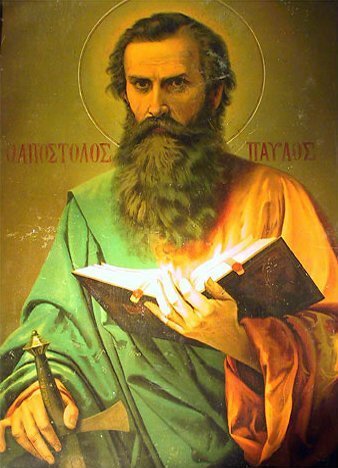 The Motto of the school is "Facienthes Veritatem Et Caritate" - "Called to Duty in Truth and Love"
The Mission of St Paul's BMV is to witness Christ, the great educator who unfolded realities of life not only by words, but more by his presence. At St Paul's BMV, we believe in the development of the whole person in an environment that emphasises excellence and achievement as well as embracing cultural diversity in an active manner. I congratulate the Past Pupils' Association of St Paul's Balika Maha Vidayalaya for the initiative taken to launch a website, which would be a window to link with the outside world. The year 2010 is a significant year for the Paulines, for we celebrate the 75th Jubilee of its existence. The coincident of launching a website heightens the joy and pride of St Paul's. On behalf of St Paul's Balika Maha Vidiyalaya, I offer a bouquet of thanks to the Past Pupils' Association for their constant support and encouragement in all our endeavours. It is said that the happiest days in the life of a human being are in its childhood. As I start writing this message, there is a joy that surges within me, as I recall the days of my girlhood, spent at our dear beloved "Alma Mater ". It laid a solid foundation to thousands of Paulines, molded with values, leadership and discipline who are now excelling in many fields all over the world.